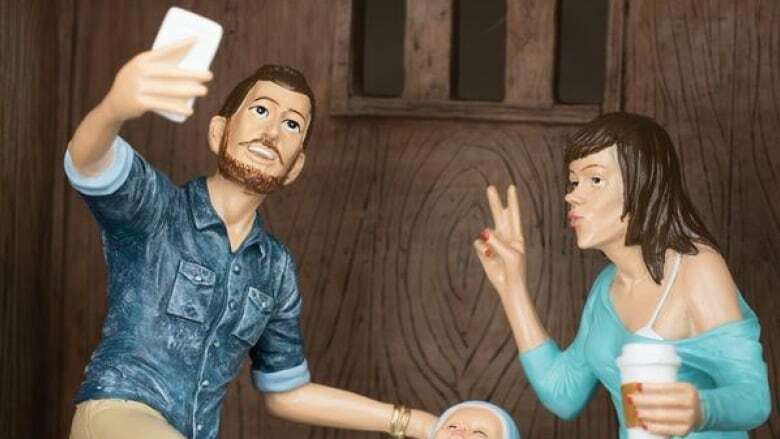 Saint Joseph's Oratory is defending its modern, "hipster" take on the nativity scene, saying that Christmas tableaus of Jesus's birth have always kept with the times. "It's not a tradition scene, but it's in the tradition of representing nativity scenes in the [current] culture and era," Chantal Turbide, the Saint Joseph's Oratory museum's curator said. The nativity scene which stirred up controversy was created in California by two American brothers, Casey and Corey Wright. It shows the proud parents, Mary and Joseph, snapping a selfie with their new bundle of joy and three wise men looking on from atop their Segways. Mary also appears to be wearing leather pants and is refueling after her labour with a big take-out cup of coffee. "It's like a mirror on our society, we see ourselves," Turbide said, explaining why some people may find the image so uncomfortable. 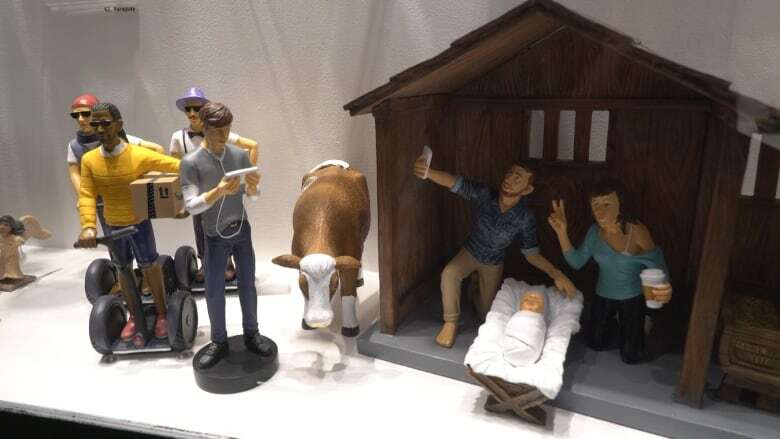 The tongue-in-cheek Millennial Nativity set sells for about $60 US. "Each set is hand-crafted and hand-painted by a real-life hipster," manufacturer Gorilla Goodies states on its website. The museum bought the contemporary nativity and has added it to its collection of more than 1,000 sets. For the ongoing exhibition A World in a Crèche, the museum brought together 100 nativity scenes from 100 countries. Turbide said nativities have throughout the centuries been updated and altered to show current styles and to place them geographically. "In Africa we can see a nativity scene with a zebra instead of donkey," Turbide said. The very North American, 21st Century nativity can be seen at the Oratory Museum, is located in the heart of the Basilica. Entry is $4 for adults and $2 for youth.